I would like the Royal Hospital Chelsea to be a beneficiary in my Will. How can I do this? The ability to predict future income is very important to us as it enables us to plan ahead. 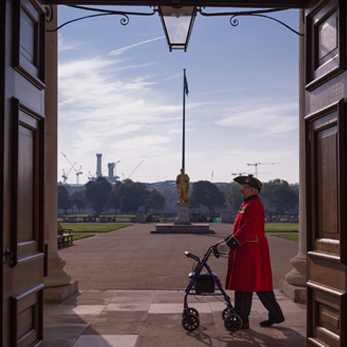 You are of course free to change the conditions or withdraw your pledge at any time, but please do let us know if you decide to make the Royal Hospital Chelsea a beneficiary. You will also need to instruct your solicitor to this effect. What is the appropriate wording to use in my Will? I bequeath absolutely to the Royal Hospital Chelsea Appeal Ltd, Royal Hospital Road, London SW3 4SR Registered Charity Number: 1076414 the sum of £x* /the residue of my estate to be used by the Royal Hospital Chelsea at its discretion. I further direct that the receipt of the Finance Director or other authorised officer of the Royal Hospital Chelsea shall be a full and sufficient discharge to my executors. *The legacy may be index-linked to ensure its value is in keeping with inflation. What are the options for me to consider? A residuary gift. 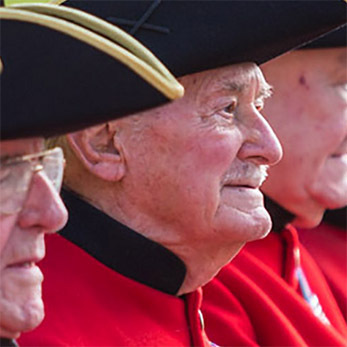 This gives you the opportunity to bequeath the remainder of your estate to the Royal Hospital Chelsea once you have ensured your family and friends are looked after and taxes and charges have been deducted. This type of legacy is often preferable because it avoids your having to state a particular sum, or making adjustments at a later date in the event that your circumstances change. A pecuniary gift or monetary bequest. This is a specific amount of money. A specific gift. You could leave a non-monetary bequest. Examples of this could be shares or stocks, or even property as an asset to be sold, when advantageous, to provide funds for the Royal Hospital Chelsea. A reversionary gift. This form of legacy allows you to still make a bequest to a loved one, but means that it is valid only during their lifetime. As such, after their death the value of the bequest would be passed to the Royal Hospital Chelsea. A conditional gift. This can be determined by any number of factors, for example, if all or some of your beneficiaries die before you. Second beneficiary gift. This is a two-stage form of legacy in which the first beneficiary is given, for example, the interest on your bank or building society account during their lifetime. After their death, the capital passes to a second beneficiary named in your will. The Royal Hospital Chelsea is likely to be the second beneficiary in this instance. What are the implications of inheritance tax on my legacy? The current inheritance tax threshold in the UK is £325,000 per individual. If the value of your estate exceeds this, your beneficiaries will be required to pay 40% inheritance tax on any value above this threshold. All assets and investments which make up an estate are subject to inheritance tax. However, any charitable gifts are exempt from inheritance tax; this means that because of the Royal Hospital Chelsea’s status as a registered charity, we would receive the entirety of your gift tax-free. Any sum you bequeath to us would therefore also reduce the overall tax liability due on your estate, enabling you to decide where your money is directed. In addition, legators who leave 10% or more of their net estate to charity can opt to pay a reduced rate of inheritance tax at 36%, ensuring that your loved ones are better provided for. Can I choose how the Royal Hospital Chelsea will spend my legacy? We prefer legacy gifts to be unrestricted since our areas of greatest need are likely to change over time. If you do have a preference for your legacy to be restricted to a certain purpose, we will of course be most happy to accommodate this, but please discuss it with us first because we want to ensure that we are able to make effective use of any bequest. Our Legacies Brochure can also provide more information, if you would like a copy posted to you please click the link below and complete your details.